These are the most common insurances accepted by Dentists in Portland, OR. Dr. Chin and her staff are the best I have ever experienced. Caring, professional, warm, extremely knowledgeable, excellent dental work. I always feel so comfortable there. Dr. Chin and all the hygienists are A+++.. This was my first appointment with Dr Zavari and I am very pleased. I literally just walked in the door looking for a new dentist and felt very welcome. Dr Zavari’s staff was welcoming and I was able to get an appointment in a very reasonable amount of time. My dental health now has a home.. Excellent experience. Very careful, comprehensive professional care. I would definitely recommend this team, led by Dr. Zavari, to friends and relatives.. 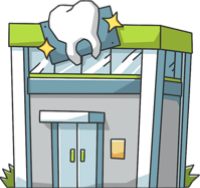 Friendly and professional office who take great care of our teeth. Dr Mike is a wonderful dentist and so are his two hygienists, Carol and Heather..
She is great and does an amazing job thank you Dr smith.